There has been a sharp increase in ophthalmic practice sales recently, as boomer generation ophthalmologists plan for retirement. 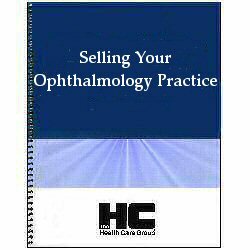 This book addresses the concerns and questions you have about selling your ophthalmic practice. Should you sell? How should you get started on this process? What price can you get for your Practice? How should the sale be structured to generate maximum tax advantage? Can I sell but then remain employed, working for the buyer? What do I need to know about the sales process, and about negotiation? Selling Your Ophthalmology Practice covers all of these issues, and more. It provides “the basics” you need to get started in this critical, once-in-lifetime transaction.